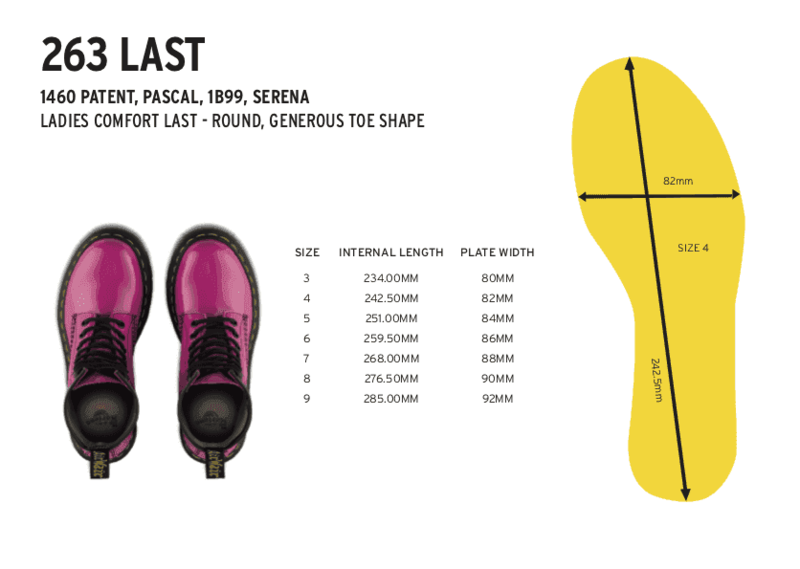 Dr. Martens have long been the voice for misfits, wild youth, mavericks, punks and rockers alike. Whilst the evolution of youth since the early 1900's [when Dr. Martens first started hand making leather boots] has changed dramatically, their impeccable construction, premium materials and rebellious spirit have lived on. The Pascal 8-Eye Boot Dress Marble Black Patent is made with soft fine velvet and is Goodyear welted to the signature air cushion sole. These boots are ready to take you on your next adventures - with all the wear and tear making them even better in time.